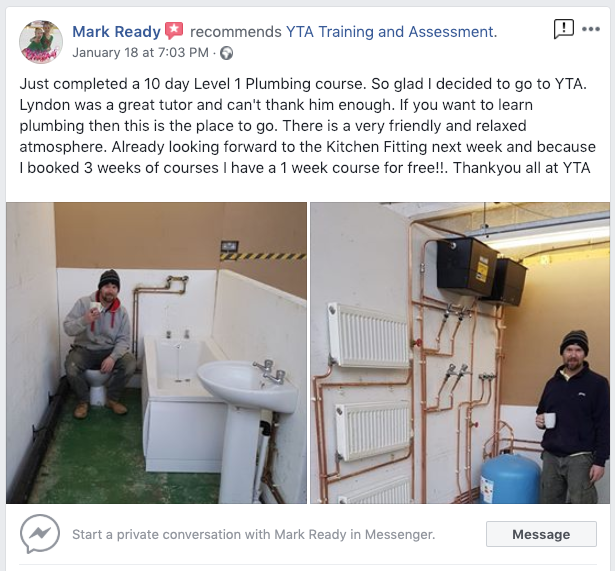 A lovely review from Mark who is still undergoing courses at the centre this week. 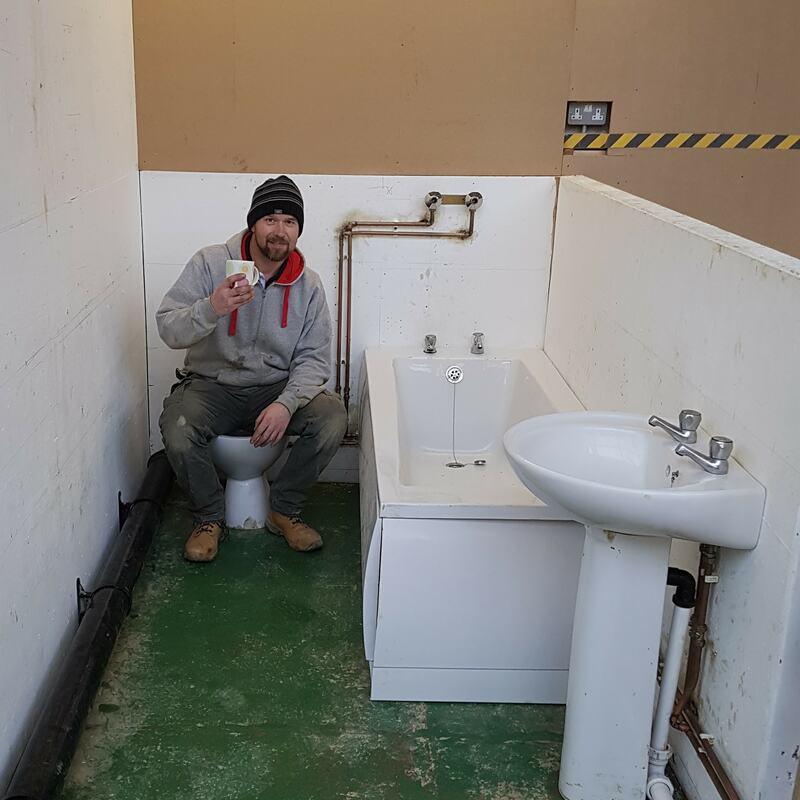 The plumbing courses run every week at YTA with no more than 6 students per course. All courses are taught in a friendly relaxed atmosphere. 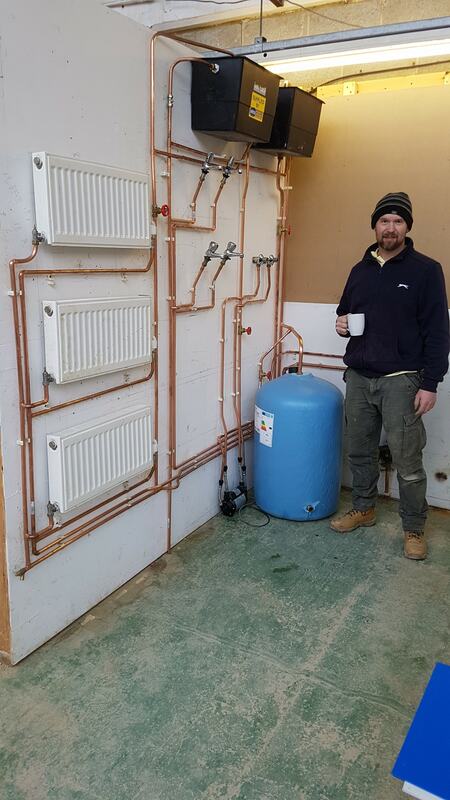 To book a course we require a deposit that can be placed over the phone by calling the office on 01274682199. YTA is situated in Bradford, West Yorkshire.